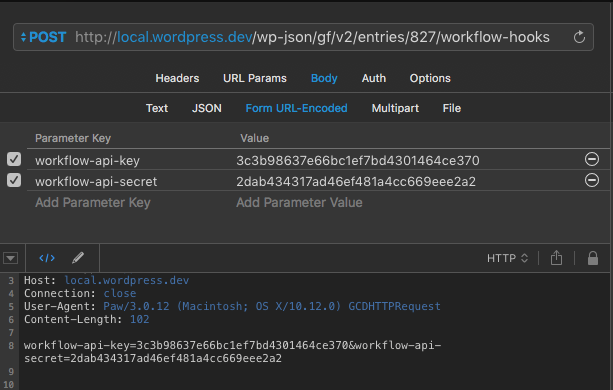 The developer-focused Incoming Webhook Extension v1.0-beta-1 is now available for download to all customers. The Incoming Webhook step is used to hold entries on a step until a trigger is received from an external custom application. The step is configured just like the other workflow steps. 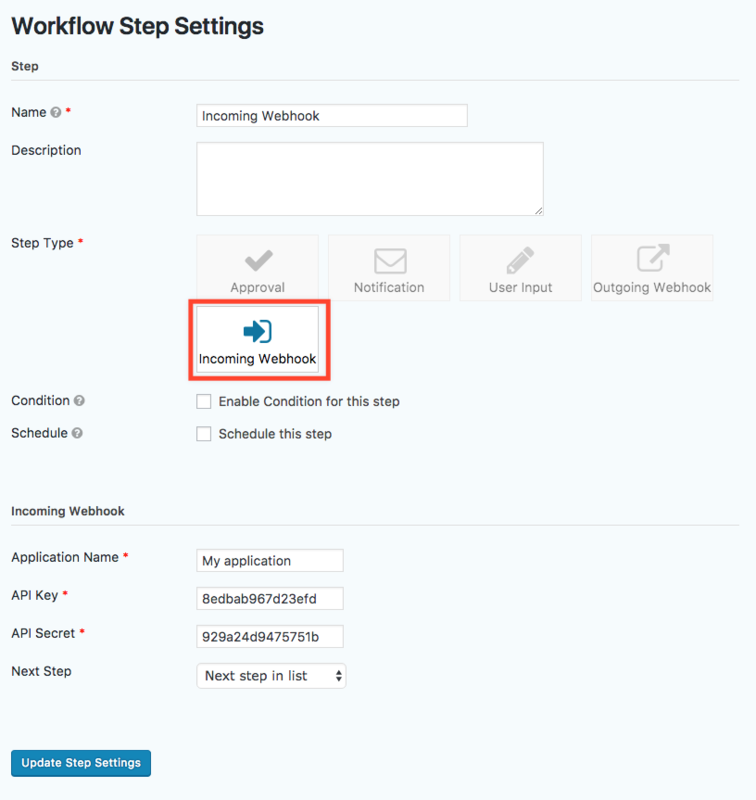 When an entry hits the Incoming Webhook step the workflow will wait until it receives a trigger. 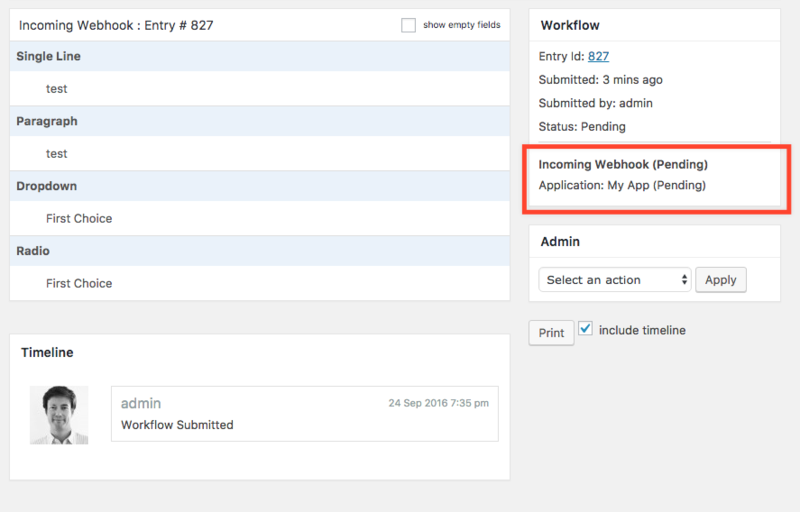 Here’s an example request which will allow the workflow to continue for entry 827. If you’re a developer and you’d like to participate in the beta testing, download it for free and let us know how you get on. If you have any questions about how Gravity Flow can make your business processes more efficient and transparent, please get in touch.